Stock # C31025, 4.4L 8-Cyl Engine, Automatic, 53581 mi. 1996 BMW 840Ci Just 53,581 original miles! 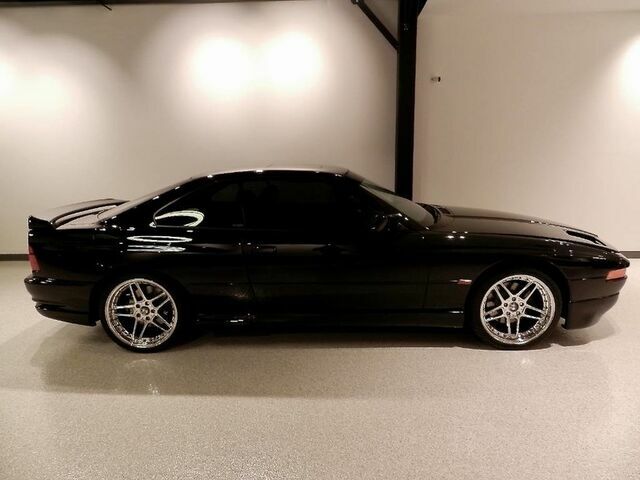 One of the most desirable vehicles of its time, this 1996 840Ci features a 4.4 Liter DOHC V8 Engine making it THE car of it's era for BMW. This mint coupe is absolutely gorgeous in every way. Meticulously maintained and serviced throughout it's entire one ownership life. Garage Kept. All service records documented including original bill of sale, Original window sticker and every documented service. Kenwood aftermarket stereo installed with an aftermarket alarm and trickle charger. Aftermarket wheels installed, original wheels come with vehicle. Remus exhaust added as well. Not many of these vehicles available let alone in this condition and documented original miles. CarFax Certified ONE OWNER Garage Kept Door to Door Enclosed Transportation Available For more information or to schedule an appointment to see this one of a kind classic, please call or text 727-423-7819 ZEN MOTORSPORTS... RESTORING PEACE OF MIND TO THE CAR BUYING EXPERIENCE!